It's been a while since one of my “What am I?” quizzes, so here we go with a new one. As always, I'll hold comments from public view until I post the answer in a day or three. Looks like an old book. But since you’re in Japan, perhaps it’s a stack of rice paper? A book? Or at least, a pile of paper? Silk threads for weaving cloth (warp). 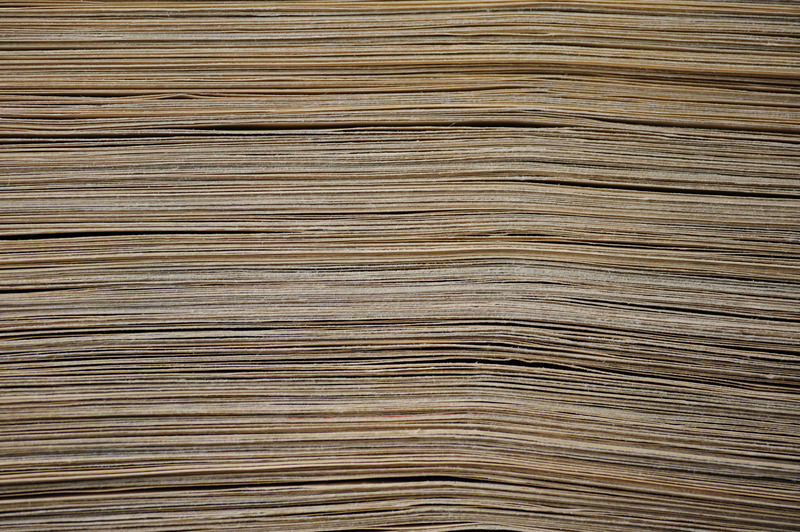 The edge of a stack of paper. Side view of a book? 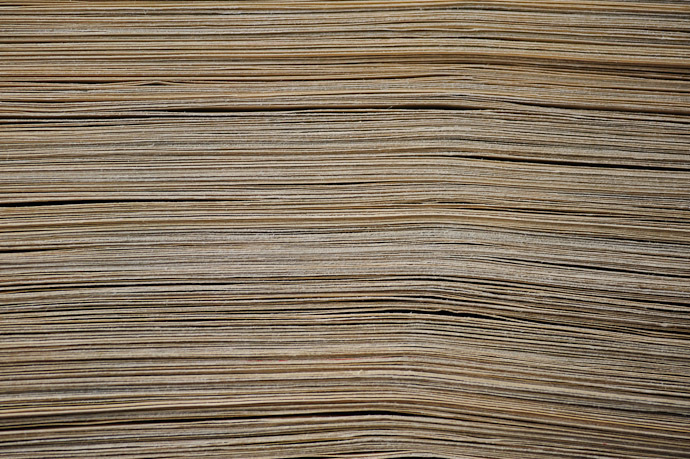 A big stack of paper, probably newspaper. The answer is posed here.